An Electromyograph uses electrodes in order to measure muscle action potentials. By way of this, the patient can learn to recognize the way tension subjectively feels by using the objective EMG readings, and as a result learn to control the muscle tension. 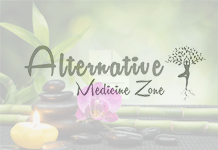 This can promote muscle relaxation and consequently help with muscle related problems such as neck or back pain, headaches of different kinds and consentience. A Feedback Thermometer consists of a thermistor that is connected to appropriate parts of the person’s body such as the digits etc. 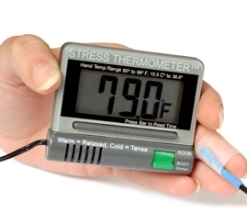 Since drop in body temperature is connected to feelings of stress, this feedback thermometer indicates when the person needs to engage in relaxation techniques. It can also help in treating circulatory problems and headaches. Since blood vessel size is dependent on contraction and relaxation and smooth musculature of vessel walls, this mechanism targets the body’s thermostat so to speak, to detect and treat various disorders. The electrodermograph is method of collecting information about the person and their disorders through the sweat glands. It investigates the information available from the surface of the skin and the amount of electrical resistance found thereon indicates a person’s level of anxiety. This is the device that can then be used to treat troubles such as phobias, stuttering and other emotional problems. Polygraph machines are often used to measure and interpret skin responses, which are also used in psychotherapy and hypnotherapy. Electroencephalographs or EEG monitors, which are used widely in mainstream medicine monitor the activity of brain waves, which offer information about mental state of the subject, such as wakefulness and sleep and the different states of sleep and relaxation. Photoplethysmographs, or PPGs, can measure peripheral blood flow, heart rate, and heart rate variability. A pneumograph measures abdominal/chest movement and can be used to improve conditions like sleep apnea, reverse breathing or thoracic breathing. Hemoencephalography, or HEG biofeedback attempts to map the oxygenated and unoxygenated blood in the brain. Using these methods and devices, biofeedback therapy uses the appropriate monitoring machines and the human response to the device to fathom and diagnose the existing or underlying problem and thereafter prescribe ways to overcome them.